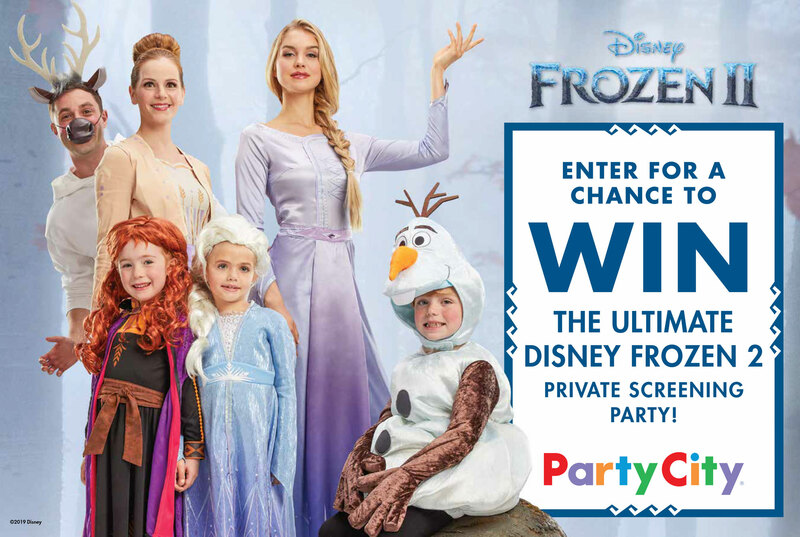 Check here to opt-in to receive promotional emails from Party City. (Optional) Text JOJO to 94467 to receive mobile offers and alerts from Party City. By signing up via text, you agree to receive recurring automated marketing text messages from Party City at the cell number used when signing up. Consent is not a condition of any purchase. Msg & data rates may apply. View Terms & Privacy. NO PURCHASE NECESSARY. Void where prohibited. Open only to legal residents of the Continental United States and the District of Columbia (excluding Alaska and Hawaii), and legal residents of Canada (excluding residents of Quebec), who are eighteen (18) years of age or older at the time of entry. The JoJo Siwa Ticket Giveaway begins on Friday, April 26, 2019 at 12:00:01 a.m. Eastern Time and ends at 11:59:59 p.m. ET on Saturday, August 10, 2019. © 2018 Viacom International Inc. All Rights Reserved. Nickelodeon and all related titles and logos are trademarks of Viacom International Inc. JoJo Siwa is a trademark of JoJo Siwa Entertainment, LLC.